Out With The over 12's & Under 20's. Us guys that keep sabotaging the 12's thread can now hang out here. As I was a 12" Fyran owner, I know how awesome the fishing is in these gems - but have recently upgraded to a larger cabin boat so i can reach out a little further and survive the rough seas. Most trips have been around Rangi channel, Motutapu, Rakino and the Noises. 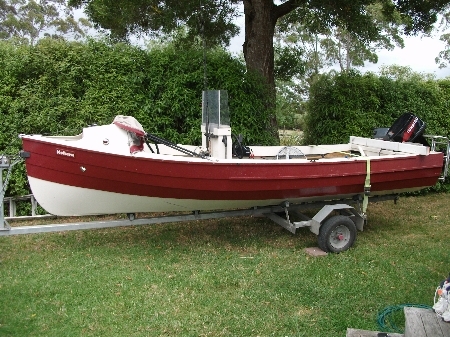 This weekend - Kawau to try something different. Leaving 530am - if anyone is out that way let us know!! By and large the reporting is factual, but in a few instances I have claimed the right of readjusting the facts to which every angler is entitled. Good work mate and I hope this thread gathers momentum and gets as large as the under12s thread. It will take me years to catch the same amount of fish in the 6m that I did in the 12. The 12 was a machine! It may take us years to have the same amount of posts in this thread as it is in the 12's. All in all - its great to read what everyone else is up to - so lets get the stories running! Nice report Alanimal. We also have similar hunting grounds- 'Rangi channel, Motutapu, Rakino and the Noises' but in the last few years we are dabbling a bit further out in 'the paddock' or 'out wide' as I believe it is called on here? (Still learning). Pretty new to the whole ocean fishing scene having fresh water fishing roots back home but work-up fishing is where its at! Anyway, back to the report! After poaching information from the 'Out with the twelves' thread (cheers guys) we decided that we would head out in the direction of the noises as these were producing quite well at the moment. Our plan however was to attempt to find any remenence of the work-ups further out and fall back on the noises at slack tide if there was nothing occuring. With calm seas and next to no wind the trip out was quick and relatively unviolent, skimming over the waves in our buccaneer billfisher. Just passed motatapu we saw a few gannets and a heap of dolphins but not much was occurring. 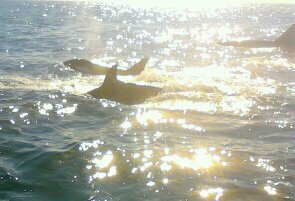 The dolphins were tiny! How many species of dolphins are out there? Are these just a pod of jouveniles maybe? Probably caught around 6 or 7 30-40cm snaps out in the middle before heading back towards the noises. On the way back the smaller budgies were working not far from the noises. kahawai! And frickin heaps of them. Every drop was either a 30cm snap or a horse kahawai. Good fun/annoying. The noises didn't really produce for us so we headed home on beautiful calm water. Stopped by at a couple of the channel buoys to drop a few cheeky jigs. No Kingies though.. When do they dissapear from the buoys generally? good on ya mate nice catchs there, did you guys get in the water with the orcas, truely amazing they are. Unfortunately I did not have the masks on the boat and they were moving pretty quick. I would love to get in the water with them. The matriarch was pretty bloody intimidatingly big though. Has anybody swam with them? Looking forward to the reports..
Execellent move with the new thread. Went out yesterday trying to find bird action. Launched from Army Bay. Nothing happening between there & Little Barrier. Wind was up & down like a pair of hores drawers before glassing off totally early afternoon( after returning from out wide). Ended up pulling 4 good johnnies out of a regular spot round Motuora on livies. Didn't catch one decent size snap all day. Any intel on where the budgies & bait are would be good cause they sure arn't where I was & I covered a heap of water. I just tie on about 1 metre of 50-60lb trace to the mainline via a swivel with a average size livebait hook. Clip an 8oz sinker to the swivel or whatever you need to hold against the tide. Might be obivious but anchor up don't drift, all youll do is get snagged all the time. Give the little livie a bit of body piecing thru the scruff & dispatch. Set him up just clear of the bottom, weed etc so he's in full vis, that will soon tell you if there are Johnies around. I even managed to recycle two of my livies though they wen't too happy about repeating the trauma, bugger being a baitfish man. 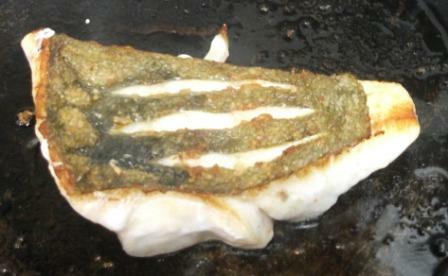 Any little bait in the 15- 30cm works. If you want a big Johnie put a big livie on. Jack Macs' would be my favorite but whatever takes the sabiki will do. Johnies are not that fussy. Sorry can't divulge my spot as I was shown it by my regular crew but places like the end of Whangaparaoa Pen. back of Tiri, Motuora with a bit of structure on the bottom will hold them. What I do is if while anchored smelly bait fishing get a berley trail going on the surface to get some volinteers around for some piercing & send one down. Real easy, just stick the rod in the holder & wait. You'll know if one jumps on! Good luck & let me know how you get on. Excellent! Cheers mate. I have heard of guys clipping the tails of livies making them easy for the Johnnies to get but im sure if they can get em naturally they should be able to get em with a line attached to em. Awesome. Lookforward to trying it out. Left HMB and headed towards the north side of Rangi,once out of the river the wind was almost westerly so changed course and headed to home bay area,very quiet there so up to the east side of rakino,christened dads rod with a 34 snapa caught on a screaming pilchard,headed round the top,nothing goin on,back down to rakino channel and fished around the top part of motutapu going down to admin bay,got a few tickles there with another 34 snap and a ky on a screamer again,headed down close to the north side of rangi and the water temp was hugely different to everywhere else,temps ranged from 13.4 to 14.3,at rangi it was 15.7!,got a big ky there and that was it,tough day really with the wind blowing a constant 18..22kts. Prolly a patriarch if it was mucherer bigger than the others. Have run into them a couple of times in the water. They are gentle souls but, yes, very intimidating!! So decided to go over to Maori Rock, and on the way noticed some small dolphins leaping in the air within meters of Maori rock, so decided to go try Fairchild Reef - nothing there - carried on south to slater point. Noticed a small work up - had a few nibbles occaisonally - then another pod of larger dolphins decided to appear and spread word to the fish that we were after them - just so that they could eat our fish!!! flamin nora!!! Nice thread - will be posting once i get my 15 footer out next. sure is mate! get out there and share the stories! Im heading out this coming sat - launch westhaven and maybe head out to the Aha's or may go in close. Weather is supposed to be sunny?? Putting the softbaits away this time - going to break my "no bait on board" policy and get the straylining happening!! Like the idea for this thread. I know most of you are Auck based but cant hurt to have a Northland presence. Good to have a spot to write a quick report rather than start a new thread. Got a 16ft ply runnabout we made ourselves, not everones cup of tea but we love it. 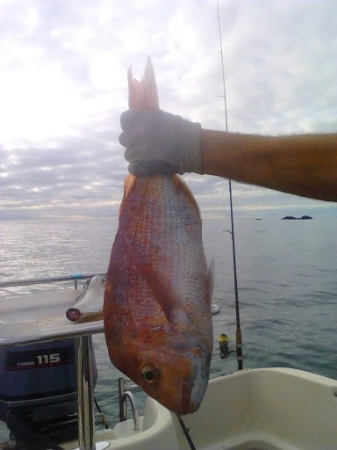 Went out last weekend from Whangaroa harbour, on the water by 6.45am & full live bait tank by 7.15am. On our spot no long after, stunning morning without the forcast rain or wind. All looked promising. Heaps of bait turned up in our burley trail, blue koheru, usually a great sign for Kingi's. 3hrs later & y mate had lost 3 baits from under a baloon with no hook up & I hadn't even had a snif. 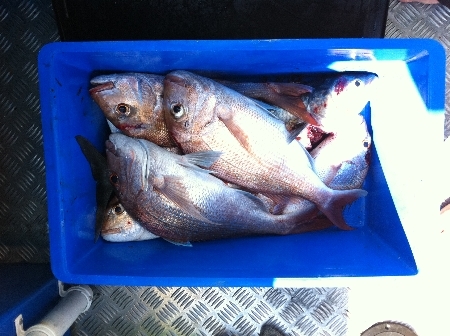 Heaps of picker snappers & one med pannie in the bin. Time to move. Tried several pins out the back of Stevies on the drift with livies & dead bait. Despite plenty of sign nothing. Last resort, an hour at arrow rocks before getting my mate home for a long drive to Tarua. Started dead slow and after half an hour were about to bail when my mate drops down a fresh livie & bang. Straight around the burley & gone . Another bait& hes straight on again, this time his knot pulls . 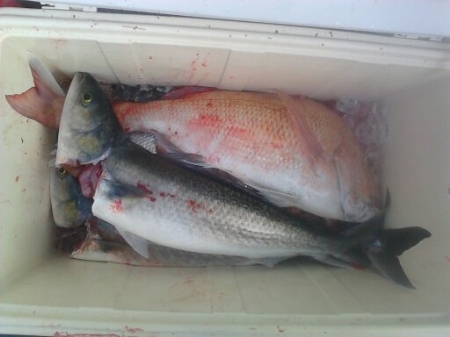 Re-ie drop another bait & on again, two minutes later & a kingi of around 15kg under the boat. Talk about green, took another 10min to actually gaff it, got quiet wet in the process . Through all of this my 2 livies not even sniffed, still struggling to work it out. He was running 100lb trace to my 60lb, presentation the same, bait the same. I kept changing mine to make sure they were fresh etc... Only thing I cant think of was that his trace to the swivel was about 1/2m longer than mine. Go figure. While he was dealing to the kingi I cast out a butterflied mackeral leaving it in freespool so it could slowwly drift to the bottom. Kind of forgot about it while messing about with my livies. 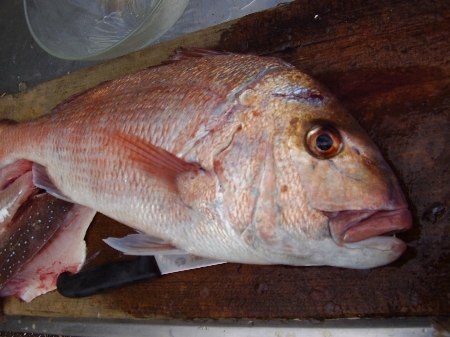 Heard a whurring noise, looked at my snapper real to see it hosing out line. Grabed it quick & in gear, thankfully no birds nest. Ended up with a nice 7kg snap.